The Star Wars movies have provided inspiration for novels, action figures, comic books, and a wide variety of games. These are my picks for the best Star Wars board games ever published. You can play as a hero of the Rebellion or you can command the stormtroopers for the Empire. This game is for two to four players. and it includes two different game experiences. There is a campaign game with missions and there is a skirmish game where you battle head-to-head. It is based on Descent 2nd Edition for gameplay. It gets high rankings from players on Amazon.com as well as many other reviewers. This is a two-player miniatures game where you engage in tactical fleet battles with capital ships. These are big, prolonged battles, not dogfights as with X-Wing. It's more of a strategy game as you have to think ahead several turns to move your big ships and squadrons. It gets great reviews from both players and game experts. This is a living card game, as new decks are being released all of the time. 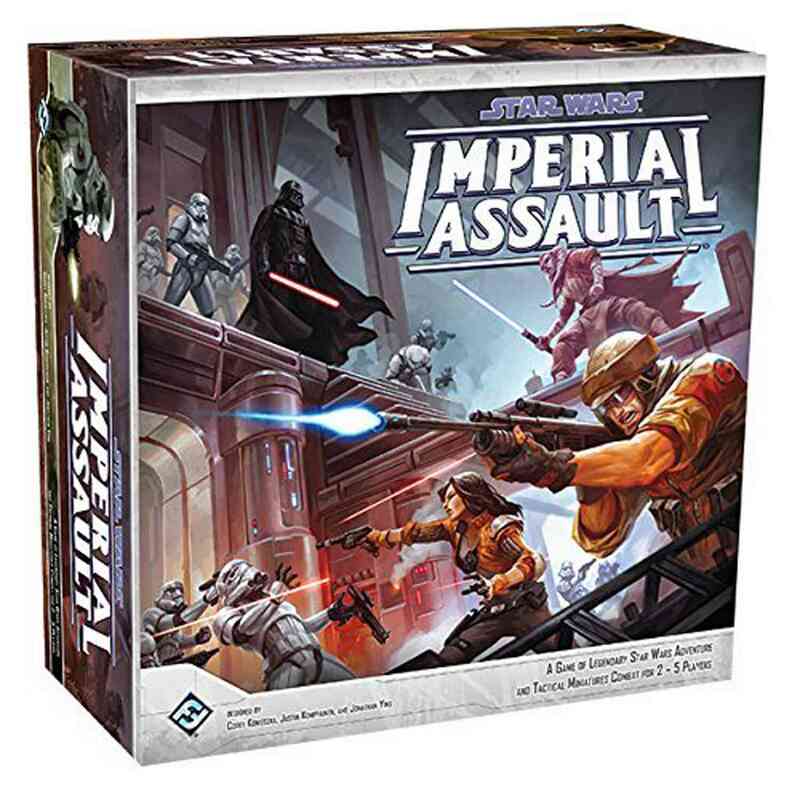 It's a two-player, head-to-head dueling game set in the original Star Wars trilogy. It's a battle between the Dark Side and the Light Side of the Force. This is the most complex game to make this list, and it recreates the ending of The Phantom Menace with four different battles happening at the same time. It comes with 155 plastic miniatures and three separate boards, including a three-level board representing the palace. For two or four players. This game, published in conjunction with Attack of the Clones, allows players to recreate famous battles from the Star Wars universe—or to come up with their own. If you've ever wondered who would win a fight between Boba Fett and Han Solo, or between Obi-Wan Kenobi and Emperor Palpatine, this game is for you. Each character has his own card deck. Great fun for two to six players. A clever, fun-packed 20-minute card game that recreates the lightsaber battle between Qui-Gon Jinn and Darth Maul in The Phantom Menace. Three rounds of battle are played; the goal is to win two out of three. Sometimes you need to retreat in one battle in order to be in a better position to win the next. For two players. If you like both Stratego and Star Wars, you'll dig this game. It combines the basic Stratego game with pieces that have special powers (e.g. Yoda and Darth Vader). One side plays the Dark Side and the other works with the Force. Characters are pulled from Episodes I, II, IV, V and VI. Four variants are included, so there's a nice variety of gameplay. For two players. Players each have a team of Jedi; they work to slay enemies (mainly Battle Droids, but Count Dooku and Jango Fett are also on the board). On each turn, players move one of their Jedi and attack one or more enemies by rolling the dice. Played with the right group, Jedi Unleashed can be a lot of fun. But don't go in expecting any strategic depth. For two to five players.